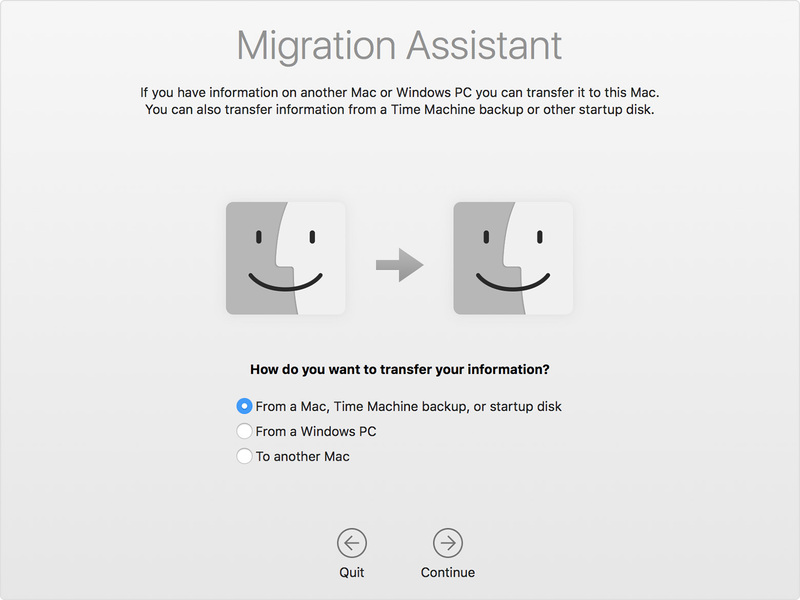 If you're transferring information from a Mac that is using macOS Server, Migration Assistant requires all items to remain selected. In this example, John Appleseed is a macOS user account. 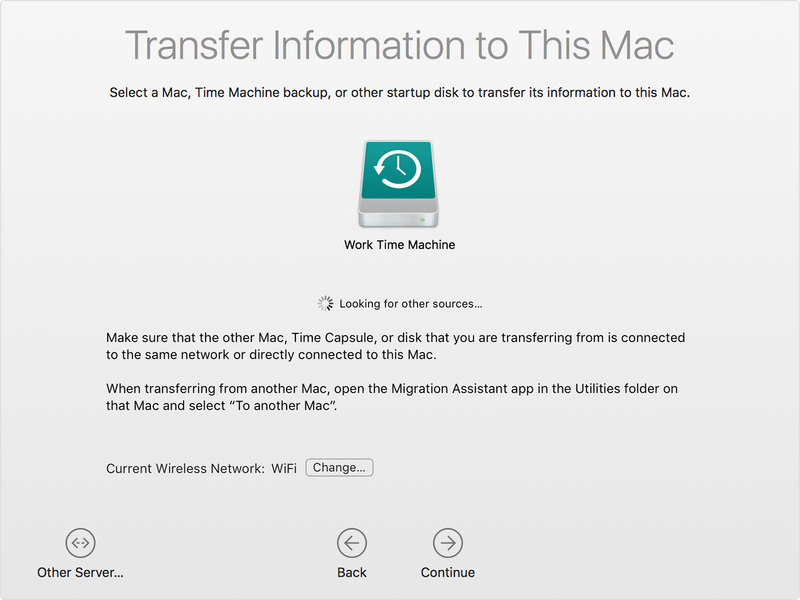 If you transfer an account that has the same name as an account on your new Mac, you're asked to rename the old account or replace the one on your new Mac. If you rename, the old account appears as a separate user on your new Mac, with a separate home folder and login. 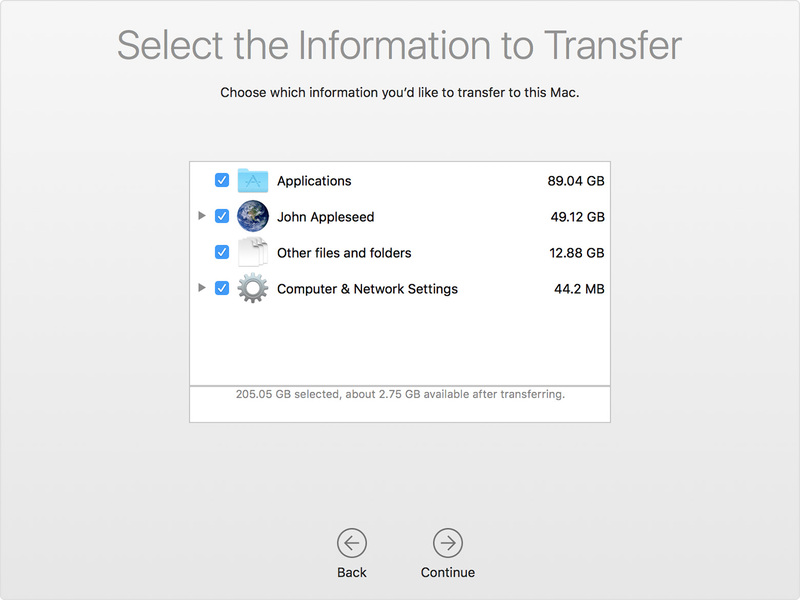 If you replace, the old account overwrites the account on your new Mac, including everything in its home folder.